Andrea Bocelli (born in 1958 in Lajatico, Tuscany, Italy) is an Italian tenor, multi-instrumentalist and classical crossover artist. Born with poor eyesight, he became blind at the age of twelve following a football accident. A disciple of Luciano Pavarotti and Zucchero Fornaciari, the blind, Tuscany-born, vocalist has emerged as one of the most exciting voices in contemporary opera. His participation in Pavarotti's 1992 hit, Miserere, and Fornaciari's 1993 world tour brought him international attention. Opera, however, represents only one side of his musical persona. Bocelli has been equally successful as a pop ballad singer, having recorded duets with Celine Dion, Sarah Brightman and Eros Ramazzotti. Al Jarreau, who sang with Bocelli during The Night of Proms in November 1995, praised Bocelli when he said, "I have had the honour to sing with the most beautiful voice in the world." Bocelli grew up on a farm in Lajatico, a rural village in Tuscany. Beginning piano lessons at the age of six, he later added flute and saxophone. Despite his obvious musical talents, Bocelli didn't consider a career in music until he had studied law at the University of Pisa and had earned a Doctor Of Law degree. Inspired to pursue music, he studied with famed tenor Franco Corelli, supporting himself by performing in piano bars. Bocelli's first break as a singer came in 1992 when Fornaciari auditioned tenors to record a demo tape of Miserere, which he had co-written with Bono of U2. Successfully passing the audition, Bocelli recorded the tune as a duet with Pavarotti. After touring with Fornaciari in 1993, Bocelli performed as a guest star in the Pavarotti International festival held in Modena in September 1994. In addition to performing solo and in a duet with Pavarotti, Bocelli sang with Bryan Adams, Andreas Vollenweider and Nancy Gustavsson. In November 1995, Bocelli toured Holland, Belgium, Germany, Spain and France with "Night Of Proms", which also featured Al Jarreau, Bryan Ferry, Roger Hodgson of Supertramp and John Miles. Bocelli's first two albums -- Andrea Bocelli in 1994 and Bocelli in 1996 -- showcased his operatic singing. His third effort, Viaggio Italiano, featured famous arias and traditional songs from Naples. Although released only in Italy, the album sold more than 300,000 copies. 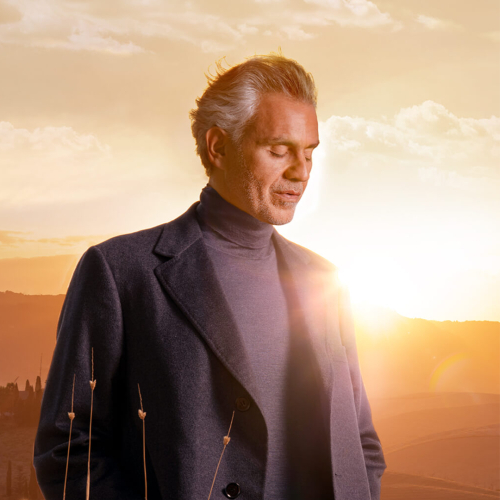 With his fourth album, Romanza, released in 1997, Bocelli turned to pop music. The album included the hit, Time to Say Goodbye, recorded as a duet with Sarah Brightman. Bocelli continued to focus on pop balladry with his fifth album, Sogno, released in 1999, which featured a duet with Celine Dion of the David Foster- and Carole Bayer Sager-penned tune, The Prayer, sold more than ten million copies, received a Golden Globe award and led to Bocelli being nominated for a Grammy as "best new artist".